A new year and despite the unsettled weather the group is managing to get out ringing. We also continue to have people joining up to study birds and learn how to ring. There's lots to learn in the BTO training process; here's a very small example from a session last Sunday. The Goldfinch opposite - yellow on wing & the head pattern are key to identification - can be sexed as a male. How? 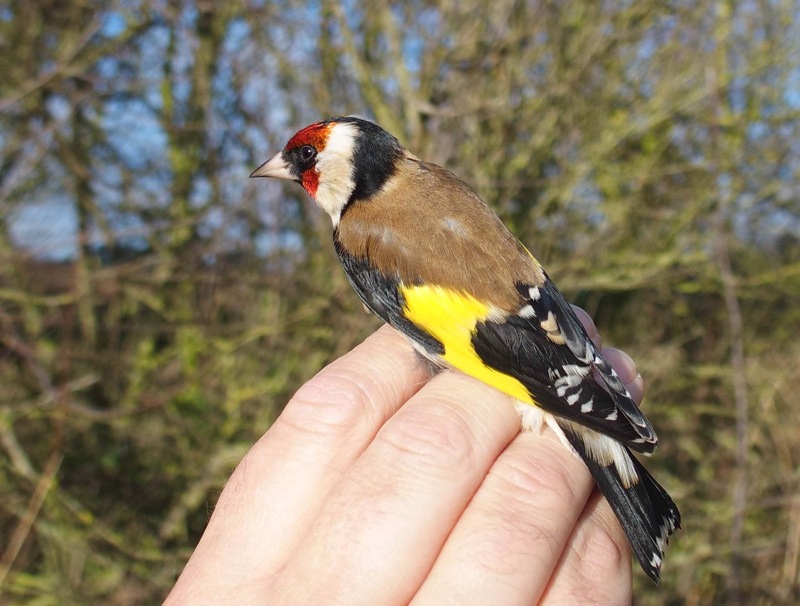 Male Goldfinches can be distinguished by a larger red mask that extends just behind the eye. In females, the red area is smaller.